First of all before we get into this post I need to apologise for being unable to do Blogmas this year! You have no idea how gutted I am about this but its just been one thing after another recently with laptop problems, camera problems and my whole family fighting chest infections. Blogmas just wasn't possible. 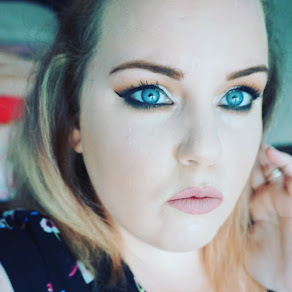 Although saying this I do have some very exciting posts coming up for you including an interview with one of my favourite YouTubers Kayla Hagey. I am so excited to post this interview because she is someone I really admire and she has some great Makeup tips for you guys. Along with Kayla's interview I have some others coming up with a Local Makeup Artist and a Girl I have admired her makeup style for years. Ive come to learn makeup application isnt all about qualifications, its about experience and a passion for the art which is why I wanted to get you guys the best tips and tricks from a whole range of Makeup loving ladies. I also have some posts started on Christmas gift ideas but not sure if this is something everyone is doing and you guys wouldnt want to see it? Leave a comment down below and let me know :) I also filmed a Youtube video filmed giving you a run down of what eyeshadow palettes I think would make great gifts for Christmas as this is something I am asked everyday at the moment. I include palettes from Budget so luxury brands so hopefully if I can get my laptop problems sorted asap that will be up and be helpful to you guys. So...COMPETITION! ....as promised I launched my Thirtyandmakeupmad Christmas Competition on 1st December yay! There are loads of Makeup and skincare included in the prize and a £50!!!! Mac Cosmetics e-voucher. You can enter on any of my social media platforms or all of them if you wish. Please make sure you leave me a comment on each platform you have entered on so I can keep track of everyone's entries. Thank you guys for the ongoing Love and Support and please do not hesitate to contact me if you need some advice on what Makeup gifts to buy for your loved one. I love spending other peoples money lol. *Winner will be picked at Random on Christmas Eve. *the e-voucher will be send via email. *The products will be delivered or posted if not local. *This competition is for the Uk only. *You can enter as many times as you like just make sure you follow the chosen methods entry instructions each time.